"We here at California Home Goods believe that life simply isn't enjoyable without you pursuing your passion. So whether you're a talented homebaker or a pro in the field of baking, then this product is perfect for you! We have teamed up with the leaders in food decorating so we could provide you the best. 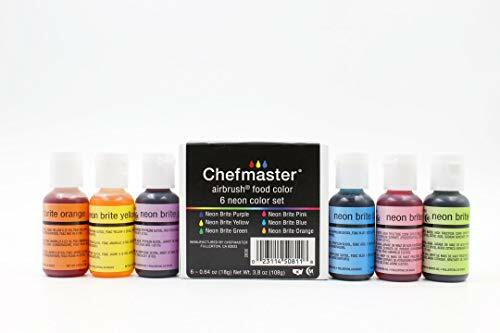 Introducing the Chefmaster Airbrush Food Coloring Set. This value pack of eight (8) vibrant metallic colors is specially formulated to work with any kind of food or cake decorating airbrush kit. See your visions come to life as you use the Chefmaster Airbrush Color Set. Use this edible air brush paint on cakes and other desserts! 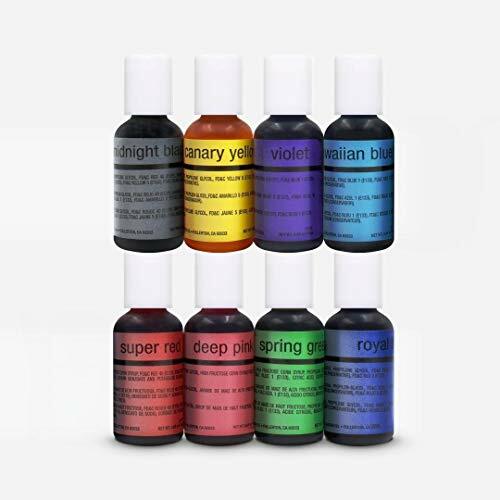 - Each metallic food coloring for food airbrush machines has a net weight of 4 oz. If you're interested in trying an airbrush for cake decorating or you're already keen on using a cake airbrush kit, then you've got to try out the Chefmaster Metallic Air Brush Colors Edible Food Decorating Set. Set aside the colored baking spray or cake watercolor paint, and take food decorating skills to the next level-- add our Airbrush Cake Color Set to your cart now!